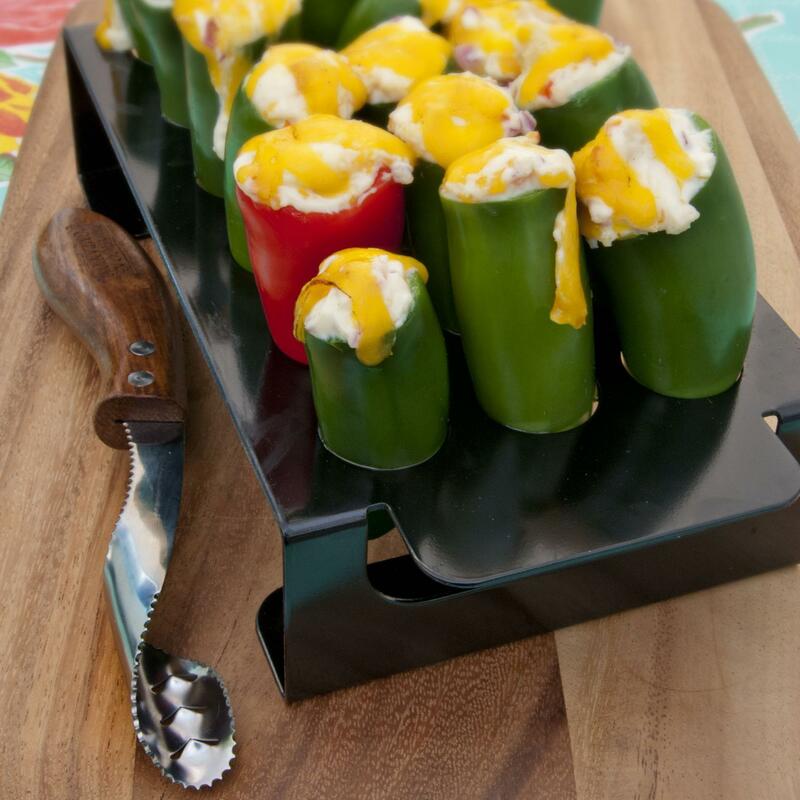 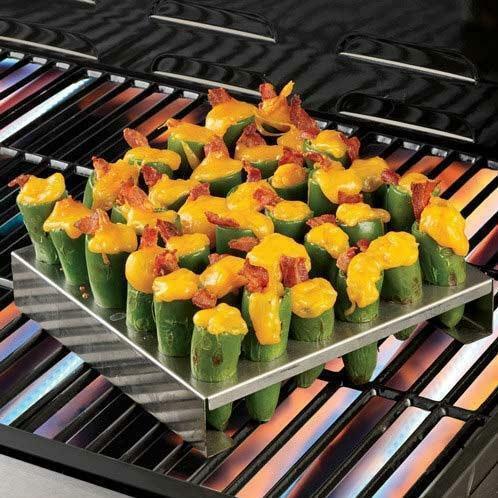 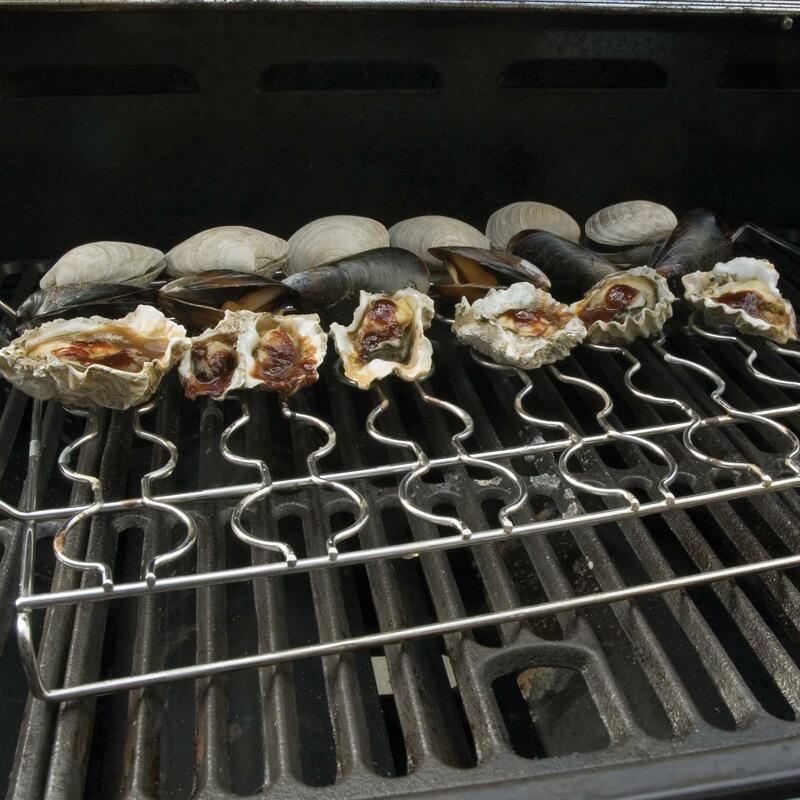 Product Description: Flame-Friendly 11 X 9-Inch Ceramic Seafood Rack. 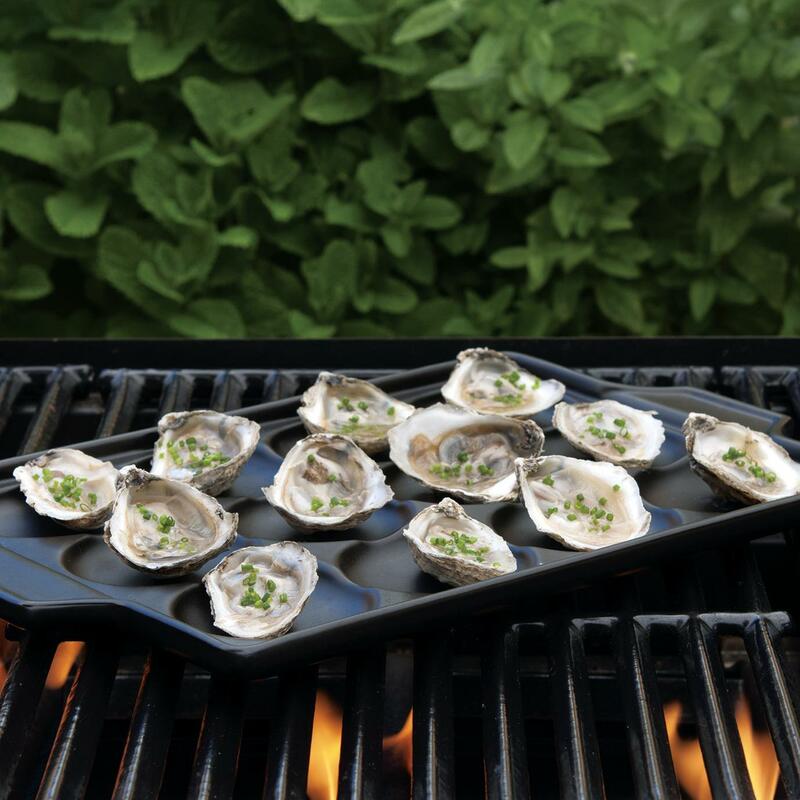 This rack makes cooking smaller seafood easy, with perfectly-shaped concave indentations to hold oysters, scallops, shrimp or more. 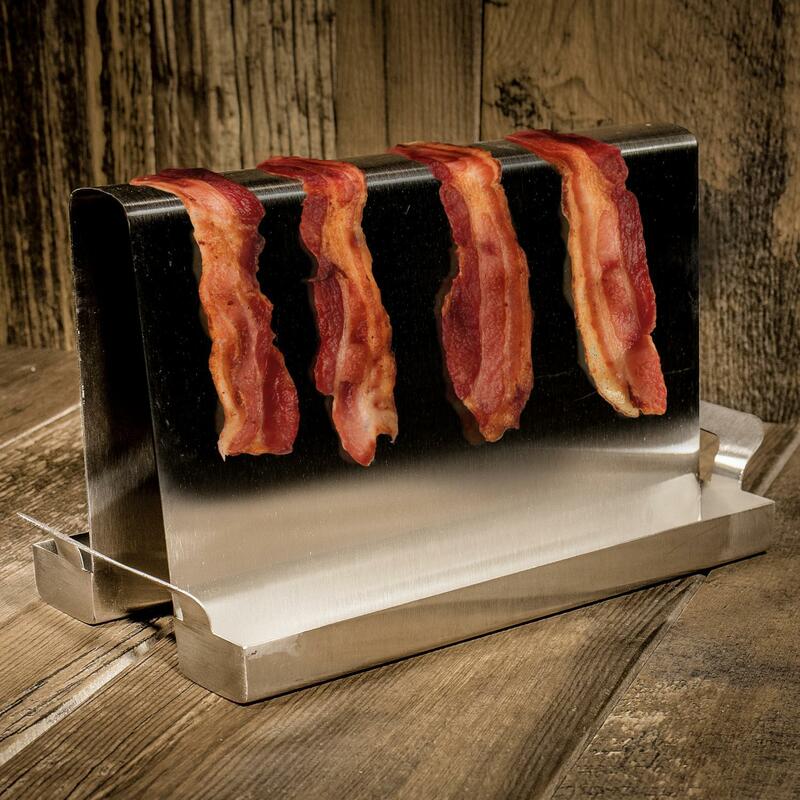 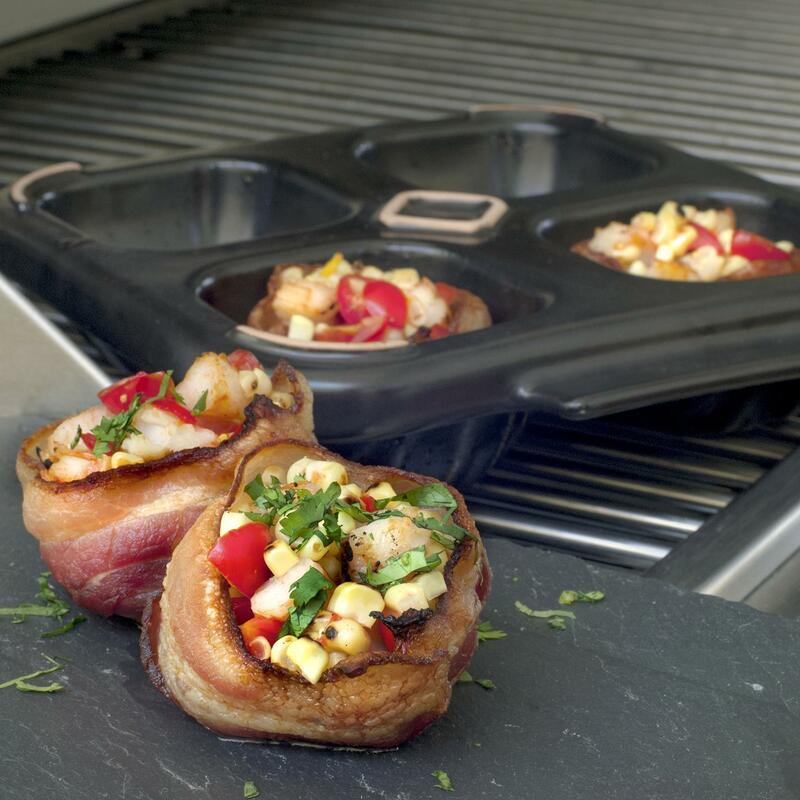 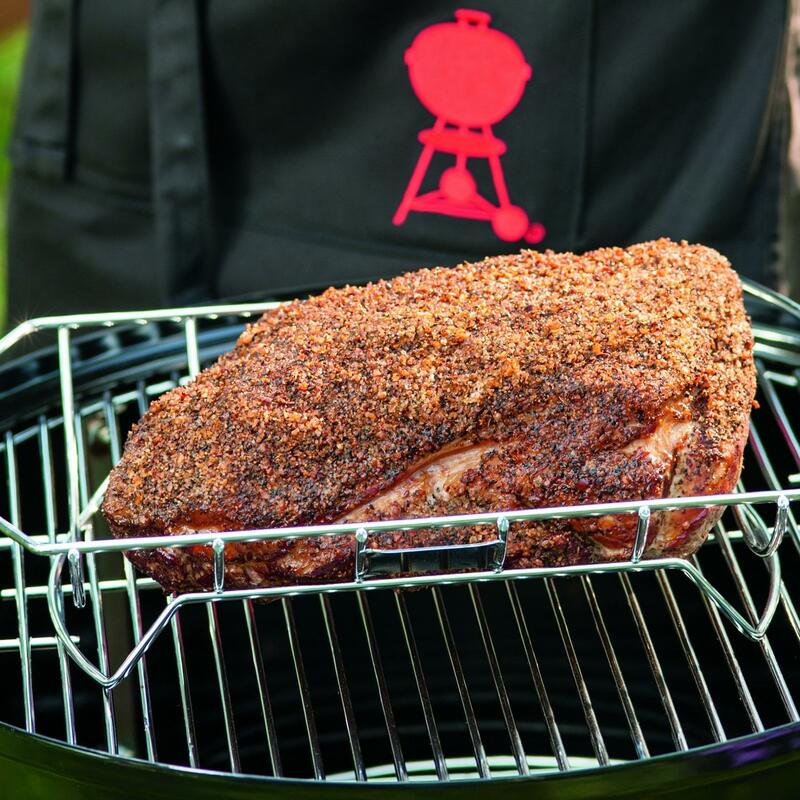 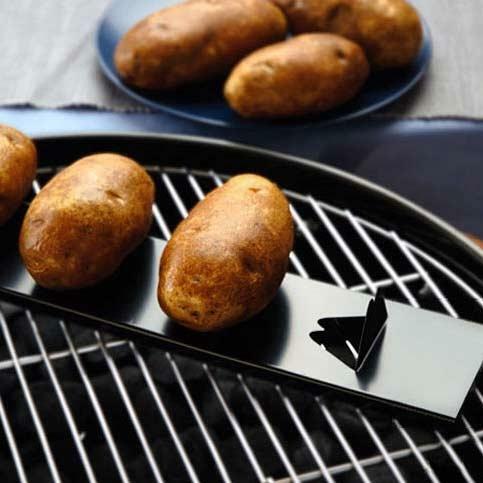 The Flame-Friendly series provides the benefit of high-heat cooking without the weight of cast iron. 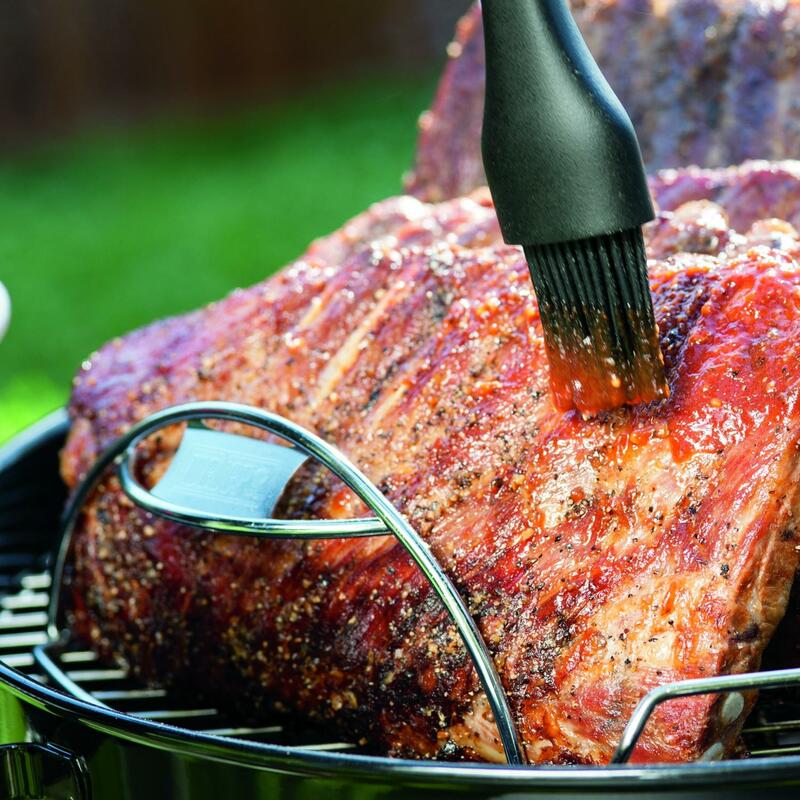 The glazed finish is scratch resistant and easy to clean. 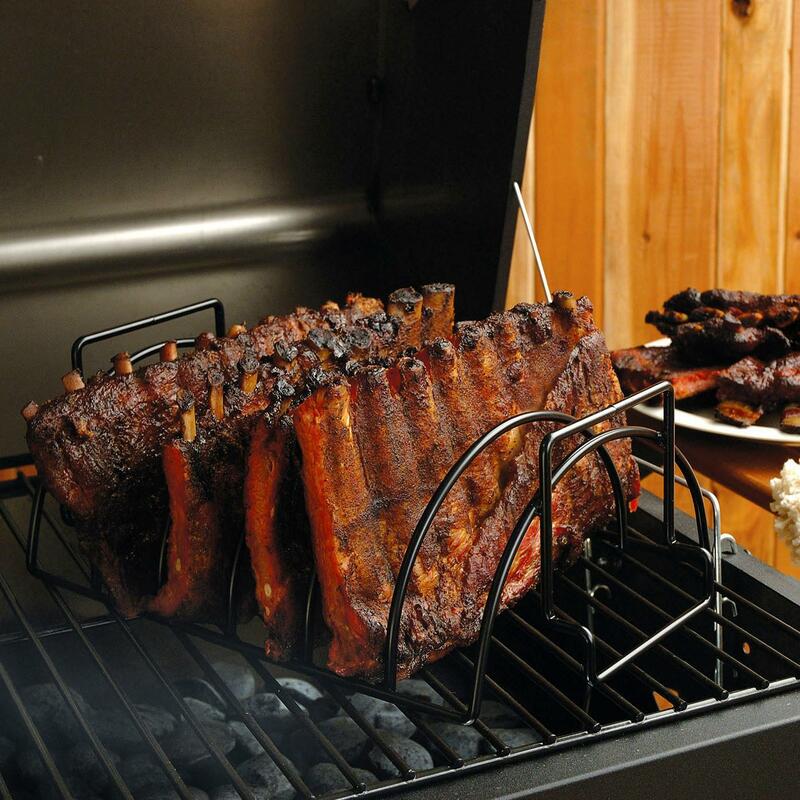 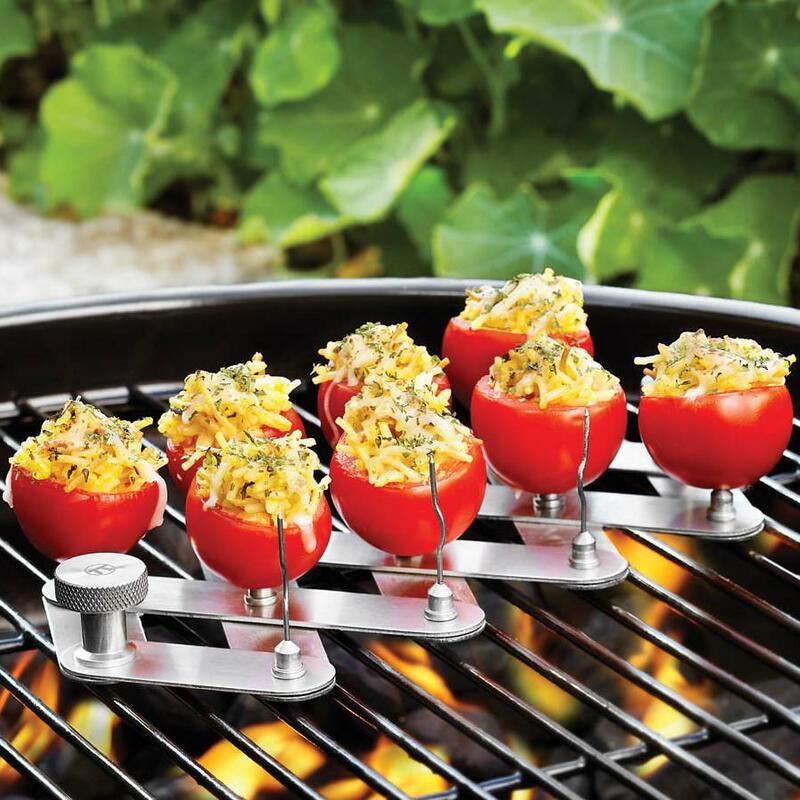 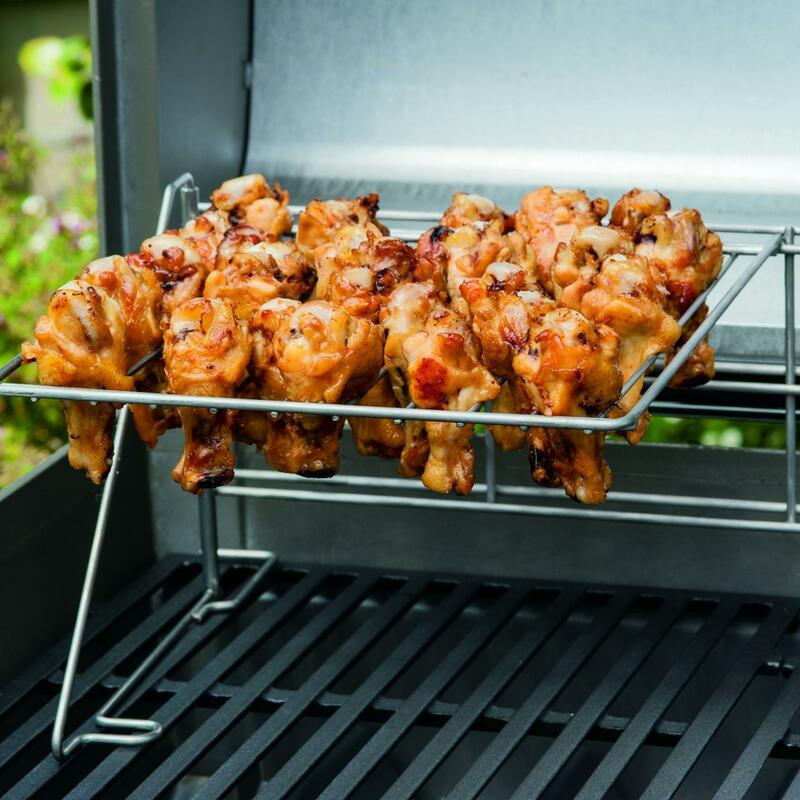 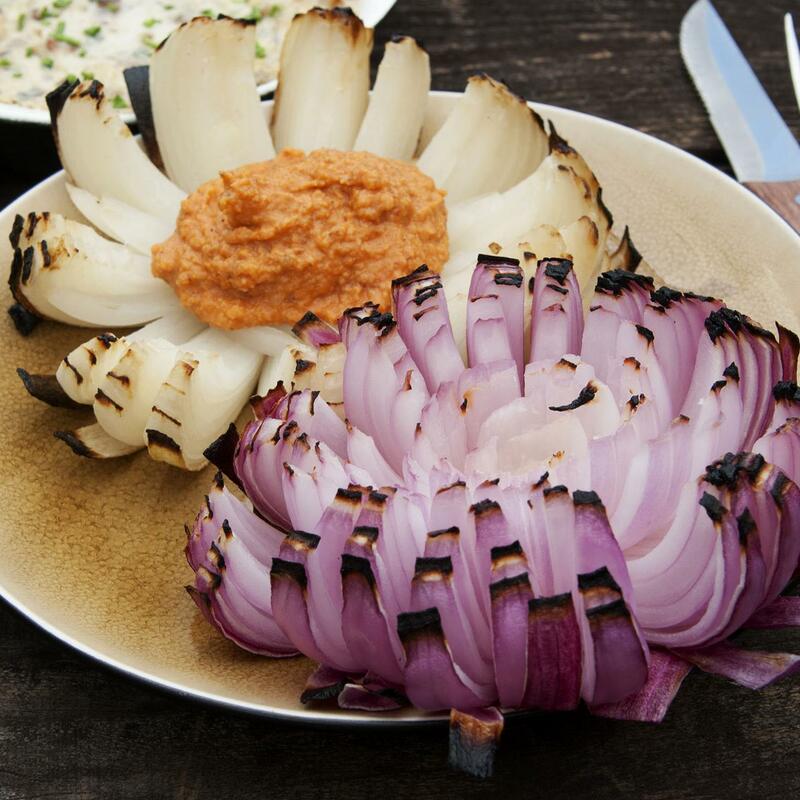 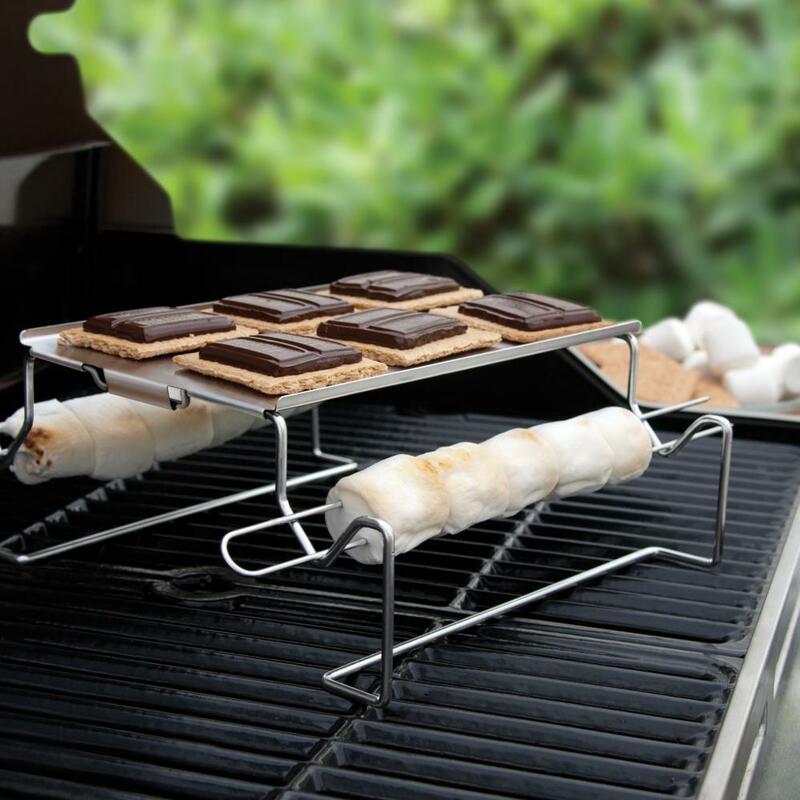 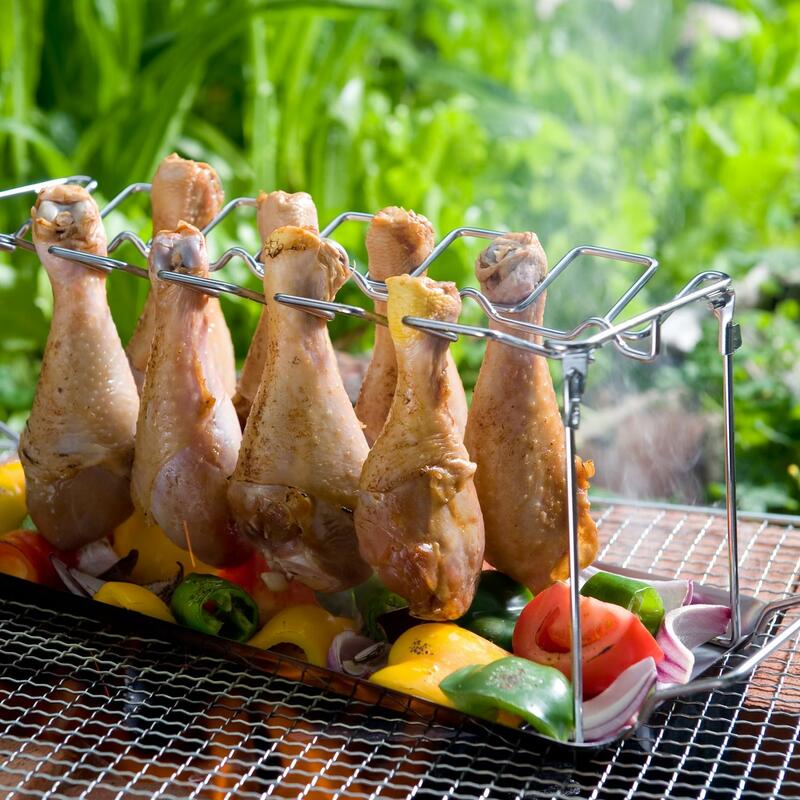 This Eco-friendly and fireproof ceramic grill rack is resistant to thermal shock so it will not crack if exposed to extreme temperature changes.